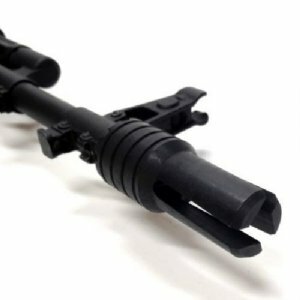 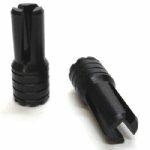 MANTICORE ECLIPSE FLASH HIDER FOR 24MM - U.S. Developed after three years of testing and refinement the Manticore Arms Eclipse Flash Hider 24mm is the ultimate in flash suppression for the 24mm threaded AK! 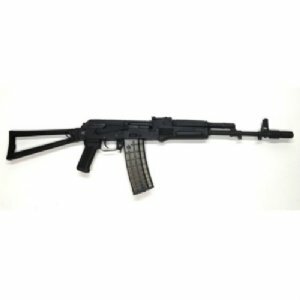 Machined from 8620 steel with a black oxide finish and heat treated for a life of hard use, the Manticore Arms Eclipse Flash Hider for Yugo Krinkov is designed specifically for the 24mm thread found on many models of AK including the Arsenal SLR series of rifles! The flash hider features three prongs at a slight angle and is designed to minimize the "ping” sound often heard with a pronged muzzle device. In addition, the threaded collar is specifically designed to 'bottom out' on the muzzle face for rattle free mounting, and has ten detent notches to guarantee there is one right where you need it. 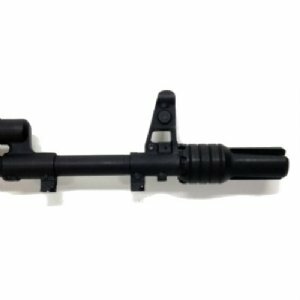 The Eclipse Flash Hider 24mm is marked "30 CAL" to denote its ability to clear any projectile up to 0.30 caliber and is also marked MA USA to denote a U.S. made part that counts towards 922r compliance.